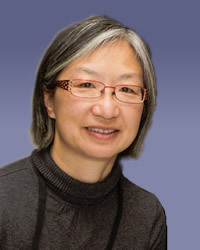 Dr Melanie Wong is a past ASCIA President, co-head of the Immunology and Allergy Department at the Children's Hospital at Westmead, Chief Examiner for the Royal College of Pathologists of Australasia (RCPA) Immunopathology training program and ASCIA's representative on the Royal Australasian College of Physicians (RACP) Board. Melanie's clinical and research interests include all aspects of primary immunodeficiencies, including newborn screening, genetic testing and transplantation. She has published many studies in this area and has extensive experience as an ASCIA Director. Her clinical experience and research expertise in paediatric immunology has been of great benefit in guiding the development of AIFA. 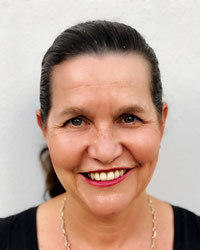 Dr Brynn Wainstein is the current ASCIA President, a staff specialist at Sydney Children's Hospital and also works in private practice in Sydney. 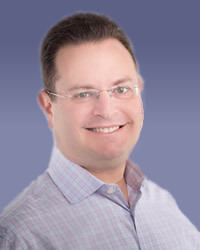 He has been an active ASCIA member since 2004. Brynn's clinical and research interests include food allergy, anaphylaxis, urticaria, immunodeficiency and inflammatory disorders. He holds a PhD from UNSW (2010) on the topic of "Diagnostic testing for peanut allergy and predictability of peanut anaphylaxis". He has published many peer-reviewed articles and has authored several textbook chapters. He has also been the recipient of several research grants. 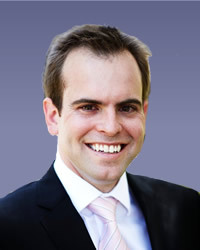 Dr Michael O'Sullivan is an ASCIA Director and a staff specialist at Fiona Stanley Hospital. He has been an active ASCIA member since 2008. Michael's clinical, laboratory and research interests span paediatric and adult allergy and immunology. This provides a broad and diverse experience to help identify the current challenges facing patients with allergy and other immune diseases. 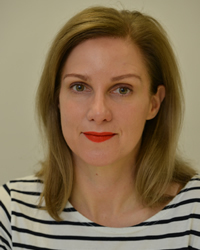 Prof Lucas is a Consultant Clinical Immunologist/Immunopathologist at Sir Charles Gairdner and Perth Children's Hospitals in Western Australia where she leads the drug allergy services. She is also a research group leader at the Harry Perkins Institute, University of Western Australia. Michaela is currently the President Elect of the Australasian Society of Immunology and Clinical Immunology (ASCIA) and Chair of the ASCIA Drug Allergy Committee. Michaela has a strong background in T- cell immunology, notably in describing the role of classical and non-classical T cell responses to the pathogenesis of infections and, most recently, in drug allergy and transplantation and is currently playing a key role in the development of national Australian guidelines concerning the management of drug allergy. Associate Professor Jane Peake is an ASCIA Director and has been an active member since 2001. She is a senior staff specialist at the Queensland Children’s Hospital and an Associate Professor at the University of Queensland. Jane established the first public paediatric immunology and allergy service in Queensland (Queensland Paediatric Immunology and Allergy Service). Jane’s clinical and research special interests include primary immune deficiency, food allergy, anaphylaxis and severe eczema. She has numerous publications in these areas and is on a variety of state and national advisory boards and committees.